Make Me Some Music! I made some homemade instruments for my kids and wanted to share! They were a big hit. Step 1: Remove the paper label and measure it. This will give you an idea of how wide and long to cut your paper. Step 2: Cut paper strips the size of your label. Step 3: Hot glue the scrapbook paper around your bottle. Hot glue works quick and well. You could use other adhesive like double-sided tape or glue sticks. 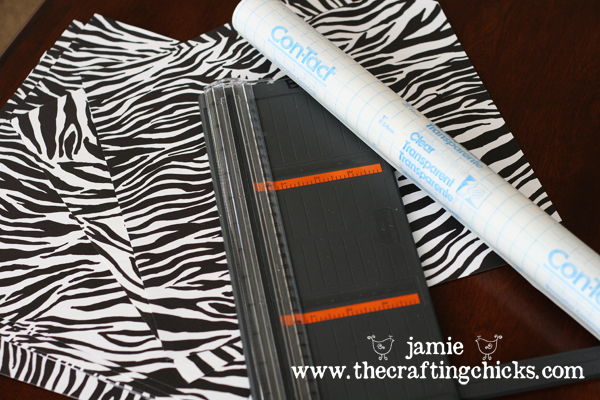 Step 4: Cut strips of contact paper (just a little bit wider than the strips of scrapbook paper). Peel off backing and wrap around the scrabookpaper. 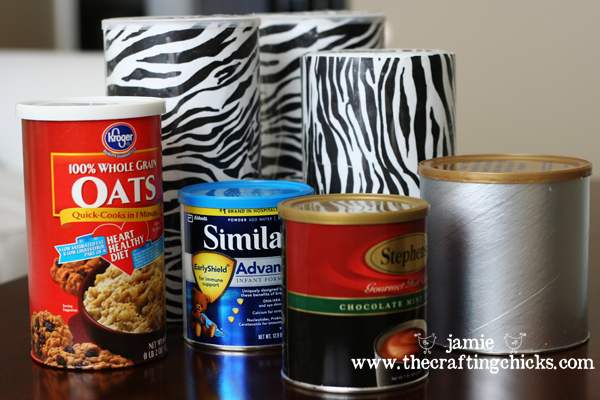 If you don’t want to use contact paper, you could paint mod podge over the strip of paper. 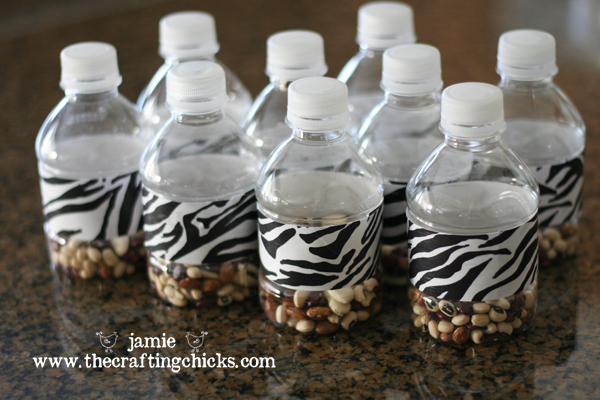 Step 5: Fill the water bottles with various beans or rice. Step 6: And for the final step, hot glue the lid back on. And to make the drums, gather cylinder cans, jars, or containers. Some great ones are hot cocoa mixes, baby formula cans, oats, cleaning wipes, and baby snack containers. Step 1: Lay out your paper and trace the top and bottom as your roll the cylinder over your paper. Also cut out a circle to cover the top by tracing the cylinder standing up. Cut out these shapes. Step 3: Hot glue on lid. Step 4: Cover the sides, top and bottoms by measuring the same way as in step 1. You can even add some beans, or rice inside the cylinder to make it a shaker/drum. 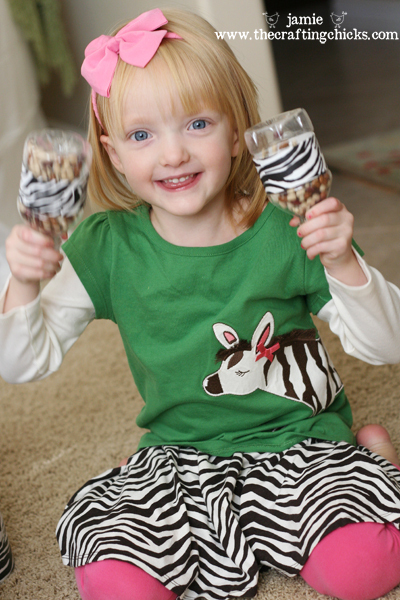 And there you have it…2 very cute ways for your little ones to make some music. What are some other great ways to make homemade musical instruments? Jennifer! That is a great idea! Thank you so much for sharing! So fun. I just LOVE the ZEBRA paper! 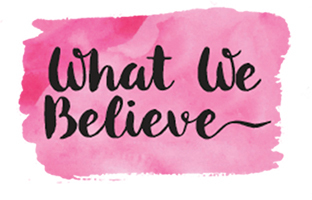 Just found your website and I love it! For the maracas you could spray paint the beans different colors. Just another idea to add to the fun. 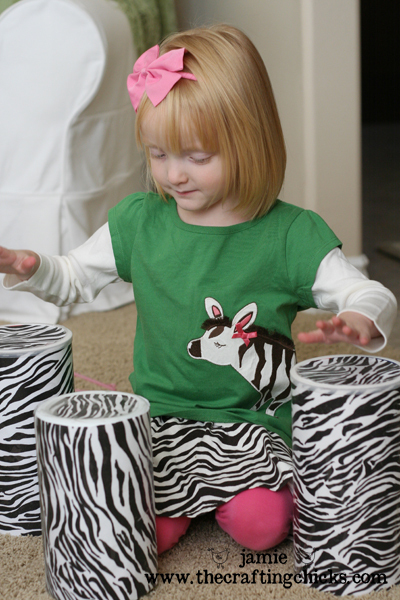 Oh how cute those zebra paper paired with her skirt! I also love these ideas, thanks for sharing, will definitely share this to my friends with little ones.